Second Test Match Between India and New Zealand is also proving to be of Batsmen from both side as once again like last test both teams have performed well in their first innings. On End of Day 3 Today India has scored 436 runs for loss of 9 wickets in 134 overs in its first innings. 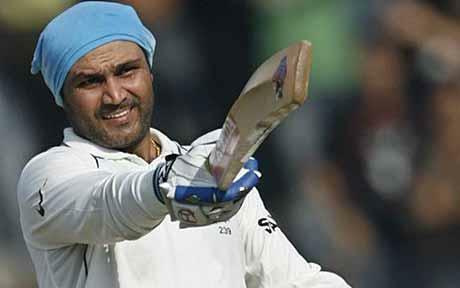 Virender Sehwag was Top Scorer for India. He made 95 runs in First innings. Before Indian innings New Zealand was all out on 350 runs on Second day. India has now got lead of 86 runs in first innings while its one wicket is left. This Match has become a interesting one and tomorrow's day 4 will be very important for both teams.